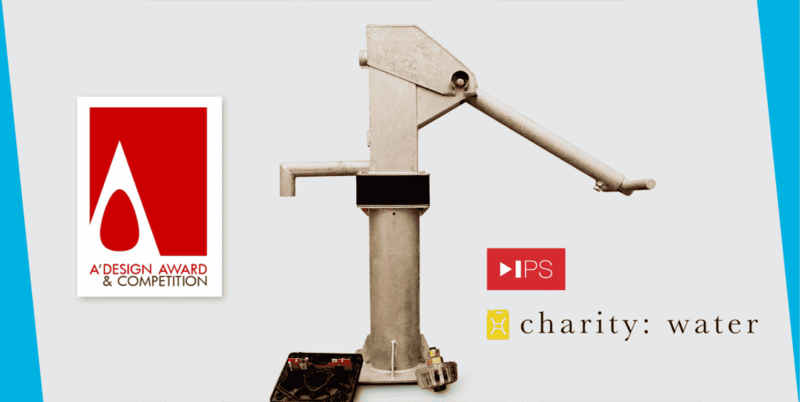 We are happy to announce that the remote well sensor designed for and alongside the team at charity: water received the International A’Design Award in the Engineering and Technical Design Category. The A’ Engineering Design Award aims to highlight the excellent qualifications of best engineering designs and greatest engineering design concepts worldwide. Innovative design ensures that charity: water’s remote wells continue to bring clean water to communities in need. The well sensor measures the flow of clean water and records and reports the amount of water extracted from that well over a period of time. charity: water installs wells in remote locations for communities who lack access to a clean water source. In 12 years, charity: water has brought clean water to 8.2 million people in 26 countries. The organization wanted a way to easily check that their projects were continuing to function and to ensure broken wells got fixed a timely fashion. So, with a $5M grant from Google in 2012, charity: water developed their first remote sensor for Afridev wells. Adding the remote well sensor keeps both the organization and its donors informed in real time about well functionality, advancing transparency and ensuring that clean water continues to flow for communities around the world.